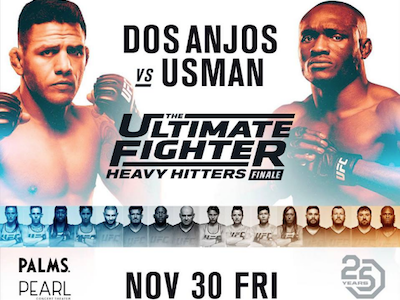 If you are in or around Las Vegas this week there is plenty to do surrounding Saturday’s pay per view event. 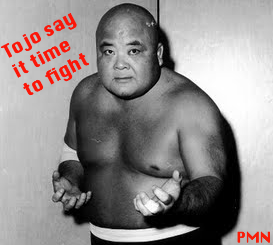 UFC 170 goes down Saturday night but fans are invited to come out and take part in several pre-fight activities that won’t cost them a thing. Two week, no problem. 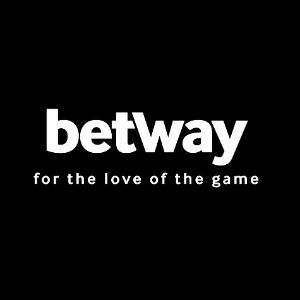 This seems to be a recurring theme of late as fighters are forced off cards with injuries and a replacement is signed to fill in on short notice. It’s the dream though right. Yet again another Resurrection Fighting Alliance champion has gotten the call up to the UFC. 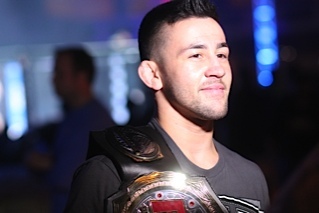 RFA bantamweight champ Pedro Munhoz (10-0) has landed a contract and a fight in about two weeks. Resurrection Fighting Alliance held their twelfth event (RFA 12) this past Friday night in Los Angeles. RFA 12 aired live on AXStv and saw Brian Ortega win the RFA featherweight championship in the main event with a split decision victory over Keoni Koch. 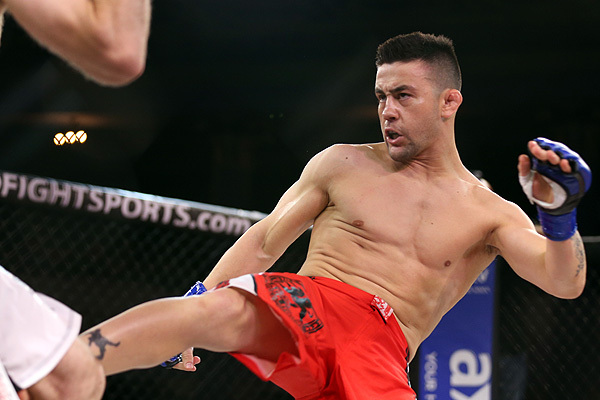 Pedro Munhoz retained his bantamweight title with a first round submission over Billy Daniels in the co-headliner. Check out our exclusive photo gallery of the event. 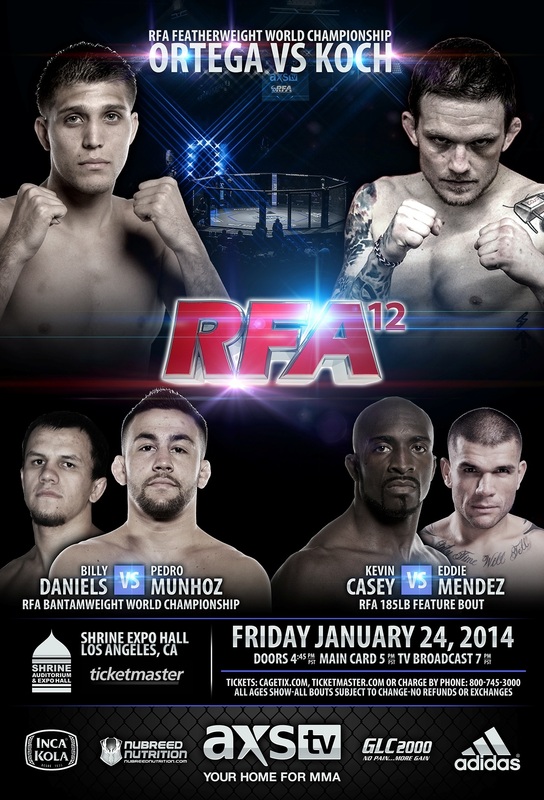 Ed Soares and company kick the 2014 campaign off tonight in Los Angeles with RFA 12 airing live on AXS TV. 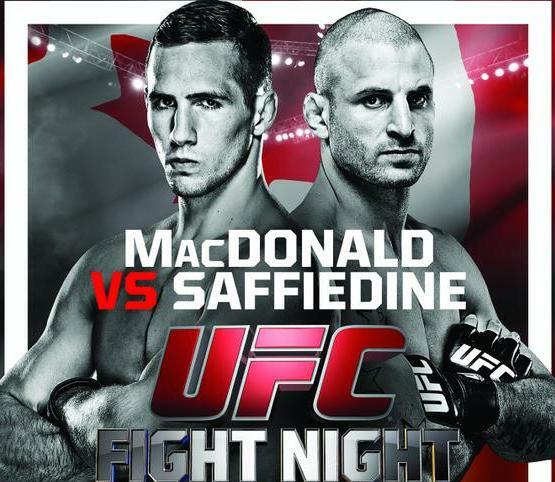 Scott Cutbirth has assembled a loaded card as neither fighter in the main or co-main event have a loss to their name. When Resurrection Fighting Alliance returns to kick off 2014 it will do so by airing the first televised female bout between strawweights Justine Kish and Randa Markos Thomas. This fight will take place at RFA 12 that goes down January 24th and will air live on AXS TV.